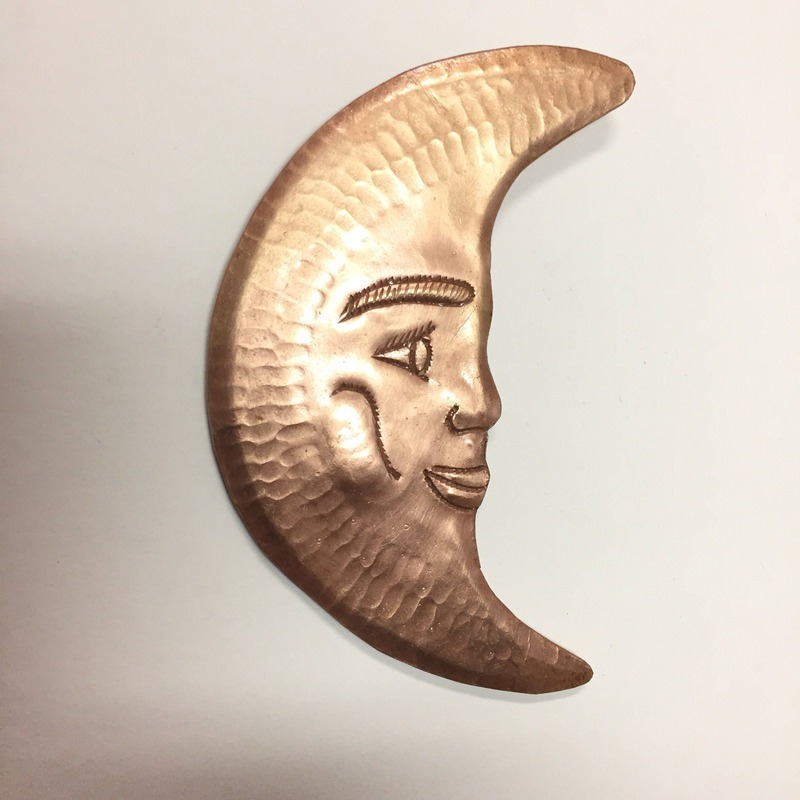 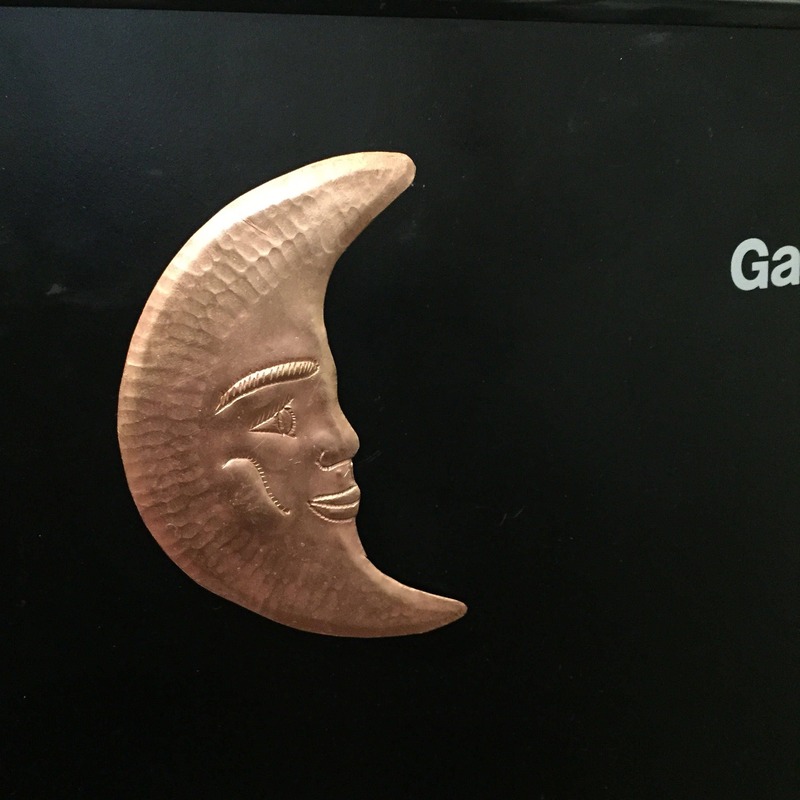 Pure Copper Hammered Crescent Moon Magnet. 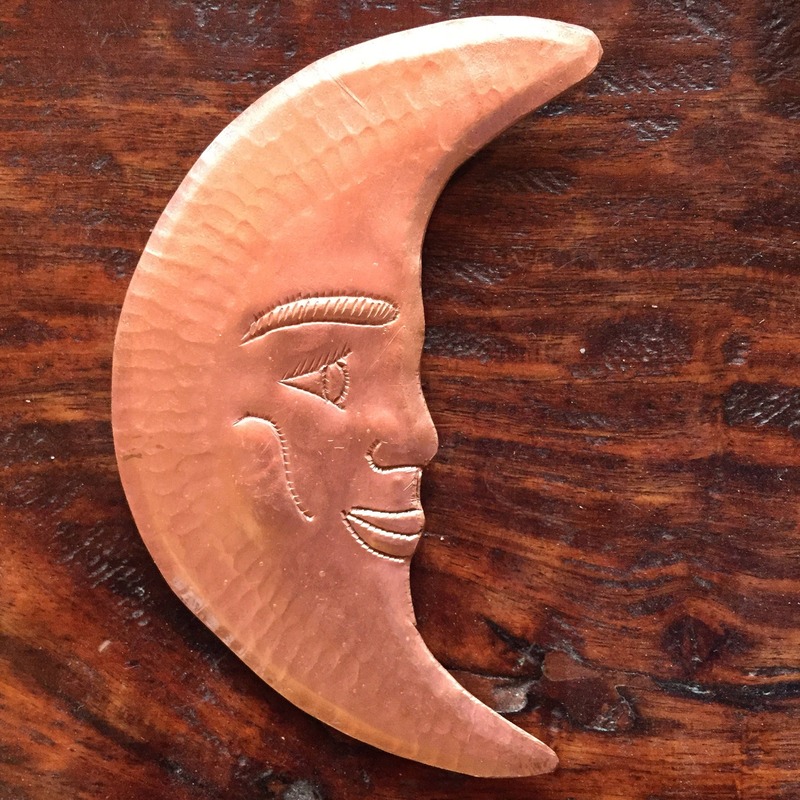 3" w x 4" h.
These magnets are handcrafted using pure copper. 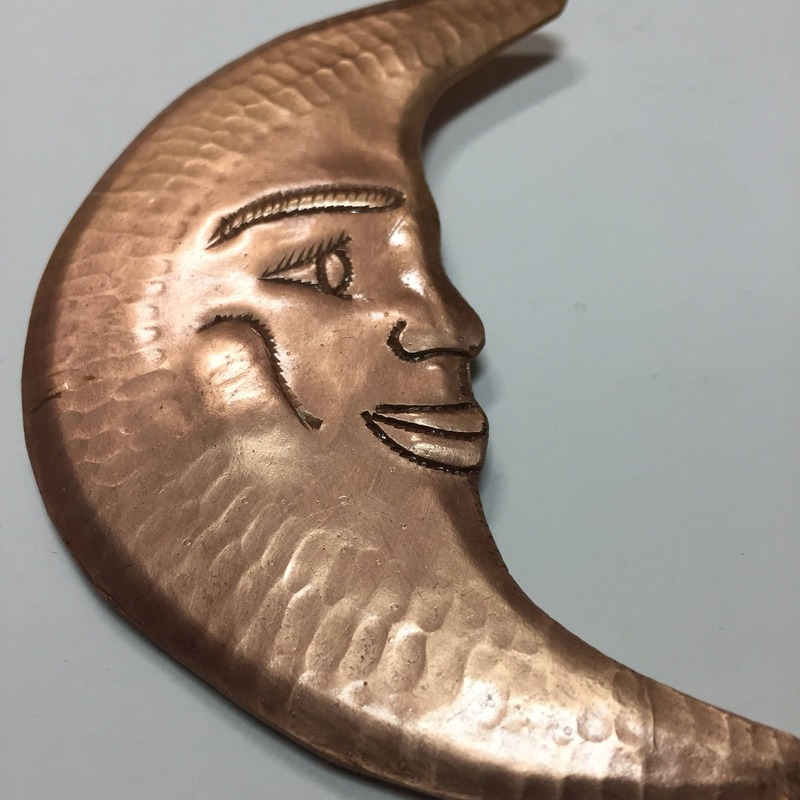 We make each design with traditional hammering, chasing, & repoussé techniques. 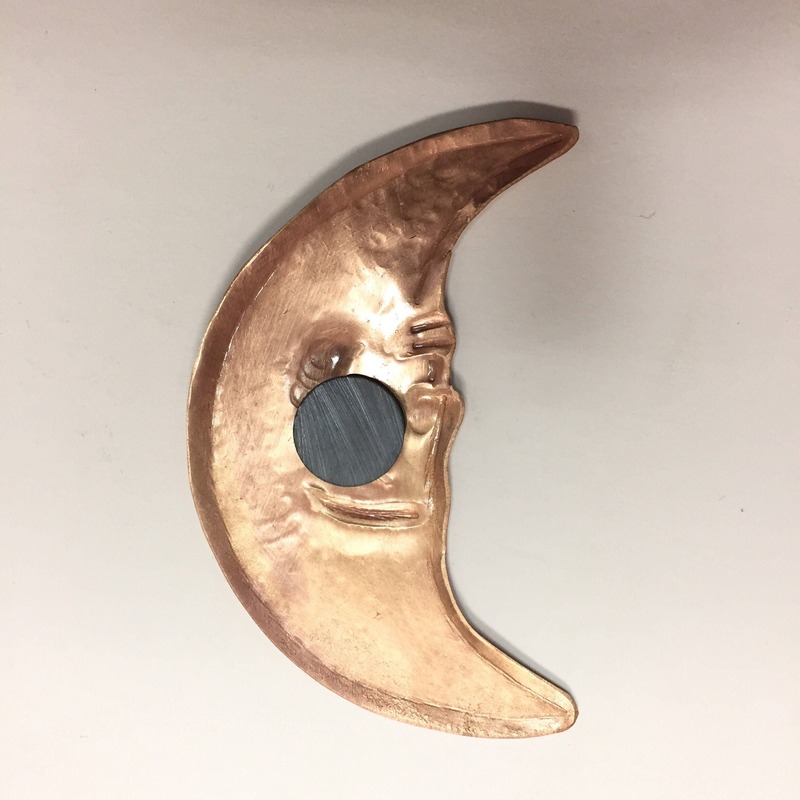 This Crescent Moon magnet arrives ready to shine anywhere you want to put it with a ceramic industrial magnet.